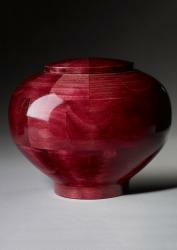 For the Peony Green wooden cremation urn, Steve Shannon hand turns solid Oak wood into a smooth, round shape. 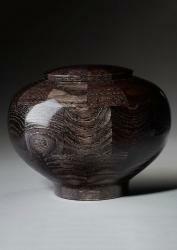 To finish the urn, Steve applies a green dye and a UV-protectant glaze. 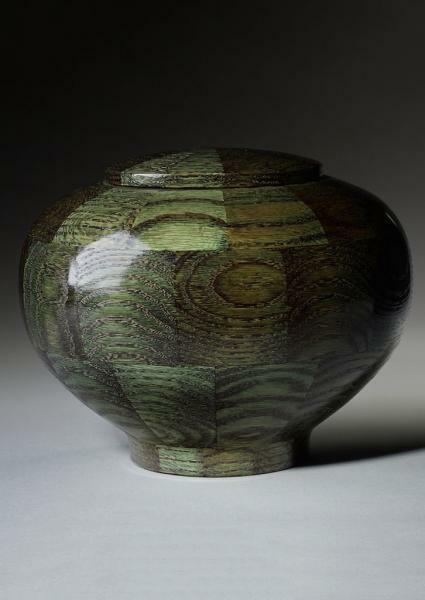 The final artistic urn brings out the natural flow of the wood while the green coloring makes the urn feel like it grew out of the earth. 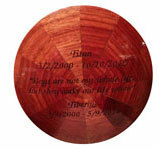 Peony Green wooden urns come in small sizes for children and pets, large sizes for adults, and keepsake sizes for sharing cremation ashes. 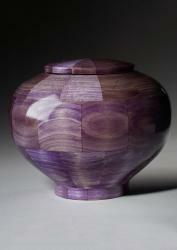 Urn jewelry available at The Charmed Wife Etsy Shop.